Black Hops Craft Beer Brewing Blog We're Hiring Casual and Part Time Taproom Beertenders! We’re Hiring Casual and Part Time Taproom Beertenders! Black Hops Brewing started as 3 mates making beer and sharing everything they learn along the way. In 2014, Dan, Eddie and Govs made their first beer, the Eggnog Stout, after discussing the concept at the pub. That led them to opening up a brewery and taproom in Burleigh Heads in 2016, and being awarded Australia’s Champion Small Brewer at the 2018 AIBA Awards. These days Black Hops is one of Australia’s highest rated and fastest growing breweries, with a team of 15 full time staff we make and distribute beer to 400+ venues around Australia. We are about to launch our second brewery, a larger scale production brewery and taproom in Biggera Waters. We are looking for beertenders to join both the Burleigh and new Biggera Waters Taproom Teams! You will be on your feet for the shift, and manual handling is required for working with heavy kegs. We are looking for staff on a casual and part time basis and those that are available weekends. We pride ourselves on our service at Black Hops, our Taproom is how most people experience our brand and exceptional service is an absolute necessity. As a priority, you will need to fit in with our existing team. You will need to possess a current QLD RSA, bar experience is a must and a happy positive personality and a great attitude are all ESSENTIAL! You will need a passion for good beer and ideally some understanding of the brewing process and industry. 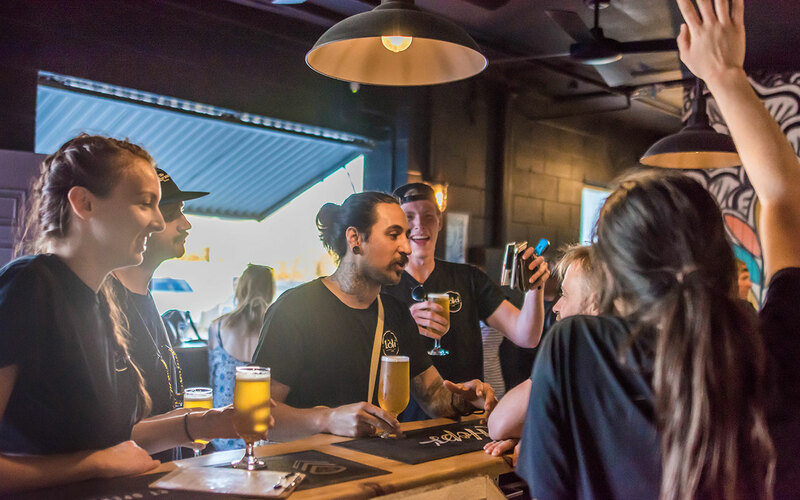 Our Taproom is an intimate drinking space where we get to share our love for beer, so being able to connect with the customers and make them feel at home is super important to us. If you have any general questions about working for Black Hops, feel free to call us on 0435 830 466, email us at jobs@blackhops.com.au or pop in and chat with Ali.